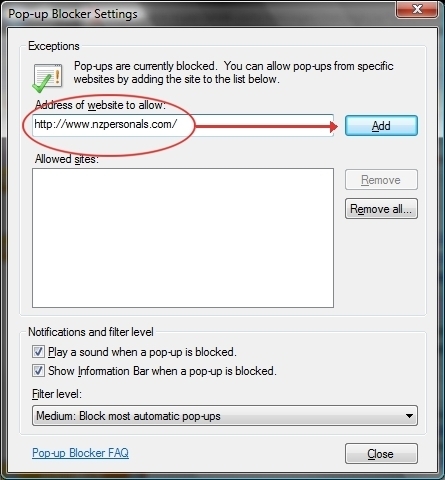 Pop up blocker settings... Type in "http://www.nzpersonals.com" (as shown below) and then hit the "Add" button. Click "Close", and you're done!